Biking through Stanley Park with mountain and waterfront views, hiking in the mountains among the summer flowers, skiing at world-class Whistler. There are a lot of reasons to come to Vancouver British Columbia, which is just a little over a three-hour car drive from Seattle. However, the purpose of this trip was not for the spectacular outdoor activities, but instead, the 41st Annual International Wine Festival. 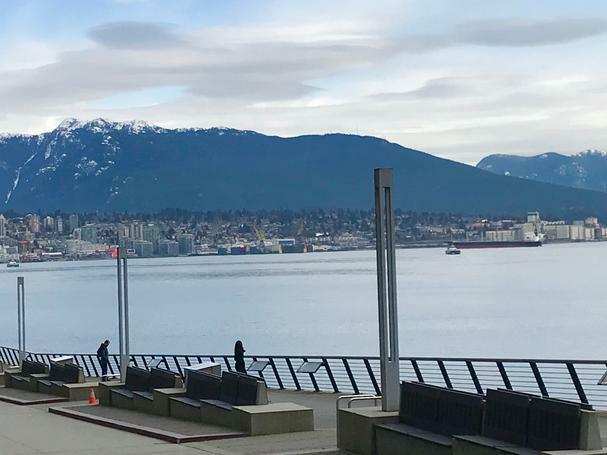 Along with the wines, I also enjoyed the mountain views from our venue at the Vancouver Convention Centre. This year’s focus of the festival was wines of California. I have to say my highlight of the event was the panel discussion and tasting called Growing It Forward in California. The list of iconic superstars was impressive! They all brought a rich history of the wine industry and what they are doing moving forward. There is a debate among historians about when the first vines were planted in California; sometime between the 1600’s to 1700s. This was not settled today. Instead, the panel started with the 1930s when the brothers Ernest and Julio Gallo began making wine. Gina Gallo, the current Senior Director of Winemaking, spoke proudly of working in the garden as a young child with her grandfather Julio. Julio knew how to work the soil, and they enjoyed the fruits of his labor over dinner. There was no UC Davis program available then since it was closed during prohibition and slightly afterward. Thus, Julio went to the library and plowed through many books. With this learning and a $5900 investment, the Gallo brothers built quite an empire. Gina worked hard in the vineyard during summer high school breaks, went on to UC Davis, and also had the advantage of Julio to sharpen her skills. Fast forward to today and Gina can showcase her award-winning Signature Series. This includes premium grapes using sustainable farming. Today we enjoyed her Pinot Noir from the Santa Lucia Highlands AVA (south of San Francisco in Monterey County). I can concur this is a premium wine with a black cherry nose and a rich taste. Next on the podium was Karl Wente, Chief Winemaker, of Wente Vineyards who is a fifth generation winegrower. 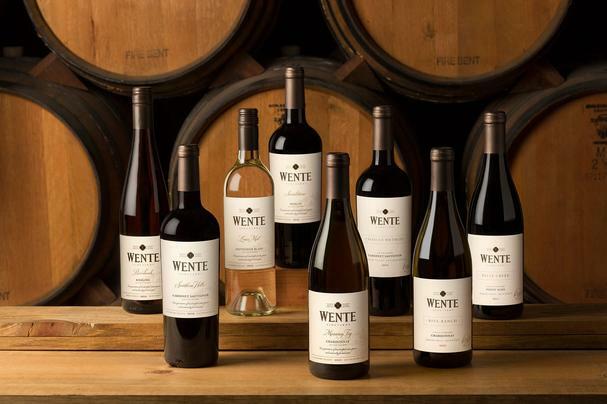 The Wente Vineyard is the oldest US, continuously run, family-owned winery going back to 1883. 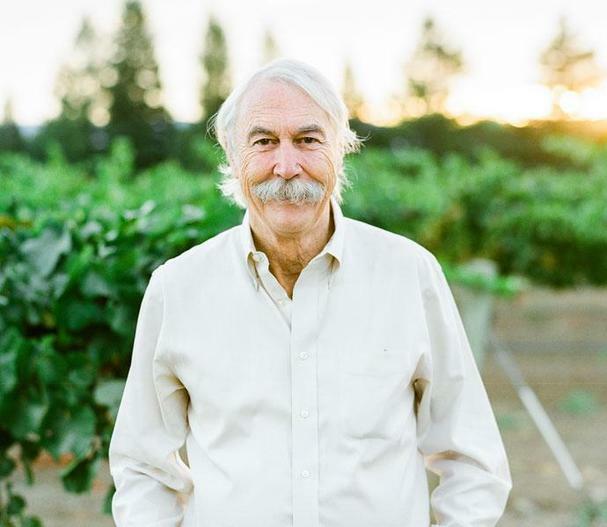 Carl Wente emigrated from Germany and had the good fortune of tapping into pioneer Charles Krug with vineyards in Napa Valley for mentorship. Charles had emigrated from Prussia and started his winery in 1861. Carl’s son Ernest had the foresight to talk to his professor at UC Davis, and they determined to get Chardonnay cuttings from France. These cuttings, from a vine nursery at the University of Montpellier in Southern France, proved to be fortuitous. The cuttings are known as the Wente Clone and many of today’s speakers paid homage to it. About 80% of all of California Chardonnay is derived from this clone. We sampled their Nth Degree Chardonnay from the Livermore Valley AVA (about 50 miles east of San Francisco). This is lightly oaked, so just a light oak nose with citrus and apple flavors and was full of richness. Karl sure has extensive experience. He earned a double master’s degree at UC Davis (Viticulture and Enology) and then worked for other wineries before returning home. Next up is Randy Ullom, Winemaster for Kendall-Jackson. His wine roots come from watching his dad practice the art of home-based winemaking in Michigan. Randy was not initially sold on wine as a profession while he majored in other studies at Ohio State. However, he took a break from college for a cross country trek through the wine country of Chile and found his true love, wine. He returned to college to earn a degree in viniculture. After college Randy spent over 16 years as winemaker at several wineries before being hired in 1993 by Jess Jackson owner and founder of Kendal-Jackson. Randy became the rock star of K-J by upgrading wines in Mendocino (Northern California) and some of the 12,000+ acres of the estate vineyards along the California coast from Northern California to Southern California. Randy is also directly involved in their South American operations in Chile and Argentina, and for good measure, Australia. As you can see Randy is a great multitasker. Along with being Winemaster, he is also Chief Operating Officer. We sampled their Jackson Estate Santa Maria Valley Chardonnay from the Santa Maria Valley AVA (Central California Coast). I enjoyed the mango and pineapple nose and light vanilla taste. Multitasking for Randy? The prior day I saw him, with his skis in tow, in a cab headed to one of the three mountains where you can enjoy four seasons of fun. Grouse Mountain (20 minutes), Mount Seymour (40 minutes), and Whistler (1.5 hours). Next time I will come a day early to enjoy the mountains. Although Benziger Family Winery came after E.J. Gallo and a few years after Kendal-Jackson (the first grapes grown 1974) Benziger is a pioneer in green farming. We heard the story of his father Mike Benziger from his son Chris Benziger. When Mike first started in 1980, he used traditional farming methods, since he first wanted to learn the soil. Then in the 1990s, Mike began the transformation to become the first winery in Sonoma to be a certified biodynamic winery. In a nutshell, this is a form of organic, sustainable farming which uses an interesting holistic approach. It has its origins in the 1920s in Europe, and now there are wineries worldwide using it. Check here for more details about biodynamic wine. We sampled some of their Pinot Noir (Sonoma Coast AVA) which has a soft floral nose and mineral tastes from the volcanic soil. Rumor has it that in the 1960s wine grapes were planted as a cover for marijuana plants. We never did get it confirmed or denied, but Benziger currently grows tangie (a cannabis strain) which is sold to dispensaries in Sonoma County. 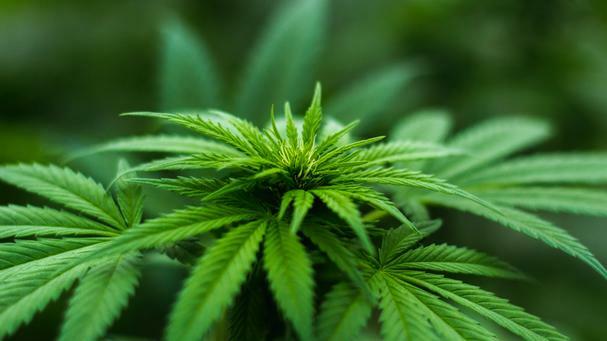 There are many medicinal benefits of this plant and Benziger donates part of his crop to low-income patients with life-threatening illnesses. Jean-Charles Boisset (JCB) was the last speaker I’m highlighting. He took a totally different route, from old world to new world. His parents owned a winery in Burgundy, France and his experience with wine came at the early age of 7, when he did his first tasting. That was followed by another eventful tasting when his grandparents took him to the Buena Vista Winery in Sonoma, California at the ripe old age of 11. Some 30 years later JCB and his sister purchased that winery. I guess he liked their Chardonnay. JCB and his sister are principals of the Boisset Collection which includes 24 wineries from Burgundy to Rhone Valley to Monterey, CA, among other regions. Like many of the presenters, JCB brings old world winemaking with forward-thinking innovations, such as organic and biodynamic farming at all the family’s estate vineyards in Burgundy and California. JCB continued his pioneering recently by introducing JCB Spirts from Burgundy Wines (Pinot Noir and Chardonnay) and caviar-infused vodka. Sadly, there were no samples of the vodka. An exciting part of his pioneering is that he is not collaborating on wine projects with his wife, Gina Gallo. They actually met in a tasting room in Bordeaux. We tasted a Napa Valley Reserve Cabernet Sauvignon from Raymond Vineyards, (Napa Valley AVA), which is part of the Boisset Collection. Indeed a bold red, and with lunch approaching, all I could think of is a lovely filet mignon to go along with this wine. 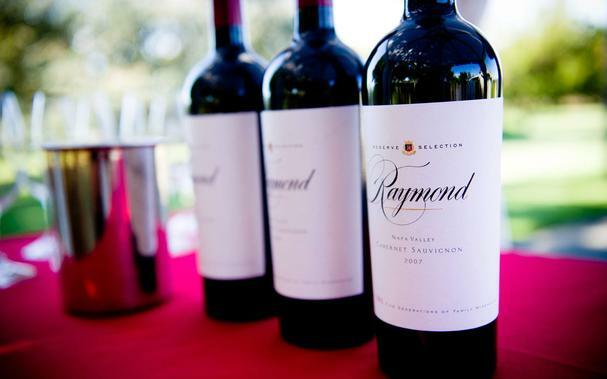 It should be noted that Raymond Vineyards’ founder, Roy Raymond, was first working in the Napa area in 1933 at another winery and it was not till later that he started Raymond Vineyards. We continued with more wine tasting and great discussions. Then I returned home with the goal of getting together with a group of friends to do more tasting of all of these iconic wines and reliving all of the great stories I’d heard.